Imbali Safari Lodge is an exclusive lodge within the world-renowned Kruger National Park, continuing the safari tradition of a bygone era. Imbali Safari Lodge is the central point within the Imbali Safari concession, offering accommodation in spacious, private chalets each furnished in understated luxury overlooking the N’waswitsontso riverbed. 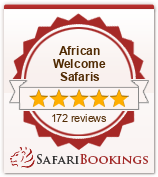 Imbali Safari Lodge promise guests an extraordinarily ‘special’ safari experience. Just the fact that it is set in its own 10 000 hectare concession area, part of the world-famous Kruger National Park, rich with heritage and traditions. The Kruger National Park offers a wildlife experience that ranks with the best in Africa and the world. Established in 1898 to protect the wildlife of the South African Lowveld, this natural park of nearly 2 million hectares, is unrivalled in the diversity of its life forms and a world leader in advanced environmental management techniques and policies. Safaris/Game drives are conducted in open 4×4 vehicles with experienced and informative Rangers. Alternatively guests can take a guided walk – perhaps you would rather relax at the lodge and enjoy views of the wildlife visiting the waterhole. Being situated is situated within the Kruger National Park which boasts one of the most diverse game viewing experiences in South Africa and is home to an estimated 1,500 lion, 12,000 elephant, 2,500 buffalo, 1,000 leopards and 5,000 rhino (black and white) – Imbali Safari Lodge promises a safari of a lifetime. All the Safaris are conducted in open Land Cruisers to give you that sense of freedom but yet with safety in mind. All guided Safaris are led by qualified field guides to help you understand the smaller intricacies of the bush. Game viewing is not just about the big and scary animals out there.